Seed marketing started in 1994 for 1216,1620 and 2025 KiTEC Composite pipes with Brass Compression type internal seal fittings. Commenced production in 1996 with size range 1216, 1620 and 2025 KiTEC Composite Pipes. Introduced indigenously developed Composite Compression Internal Sealing Fittings in 1996. 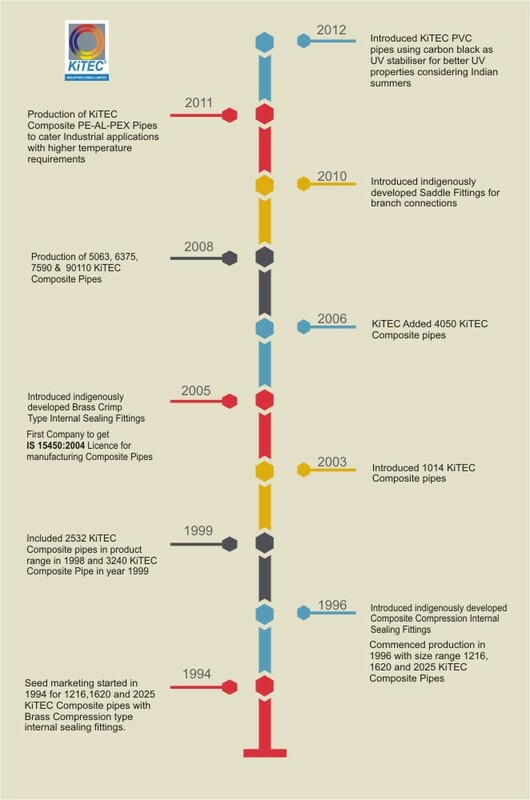 Included 2532 KiTEC Composite pipes in product range in 1998 and 3240 KiTEC Composite Pipe in 1999. Introduced 1014 KiTEC Composite pipes in 2003. Introduced indigenously developed Composite Crimp Internal Sealing Fittings in 2003. 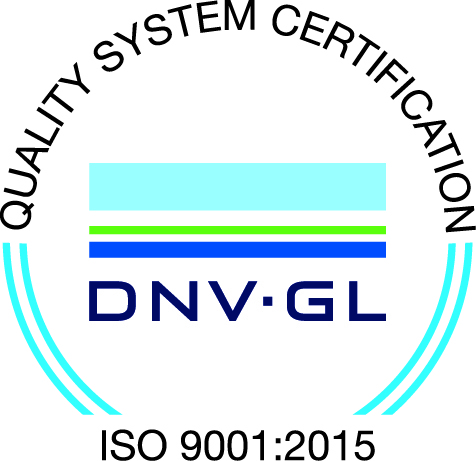 First Company to get IS 15450:2004 License for manufacturing Composite Pipes. Introduced indigenously developed Brass Crimp Type Internal Sealing Fittings in 2005. Added 4050 KiTEC Composite pipes in 2006. Production of 5063, 6375, 7590 and 90110 KiTEC Composite Pipes commenced in 2008. Introduced indigenously developed Saddle Fittings for branch connections in 2010. Introduced KiTEC PVC pipes using carbon black as UV stabilizer for better UV properties considering Indian summers in the year 2011. Production of KiTEC Composite PE-AL-PEX Pipes to cater Industrial applications with higher temperature requirements in 2012. Introduced manifold in DZR brass in 2014.